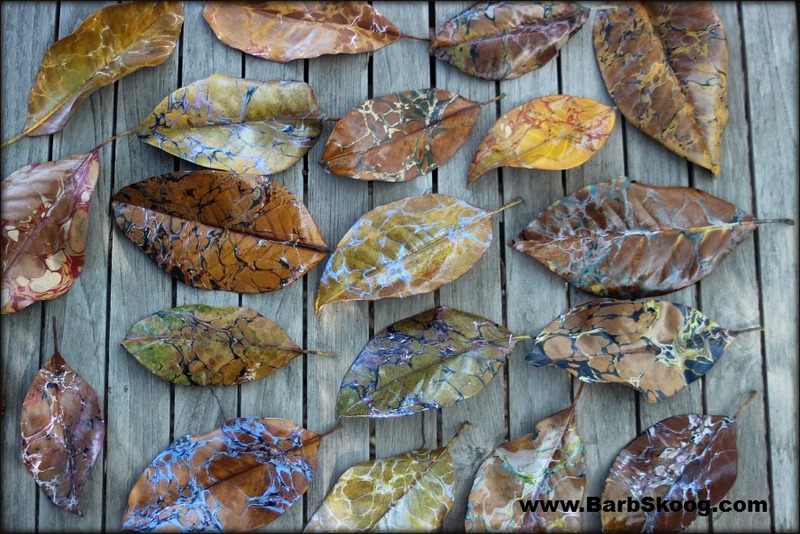 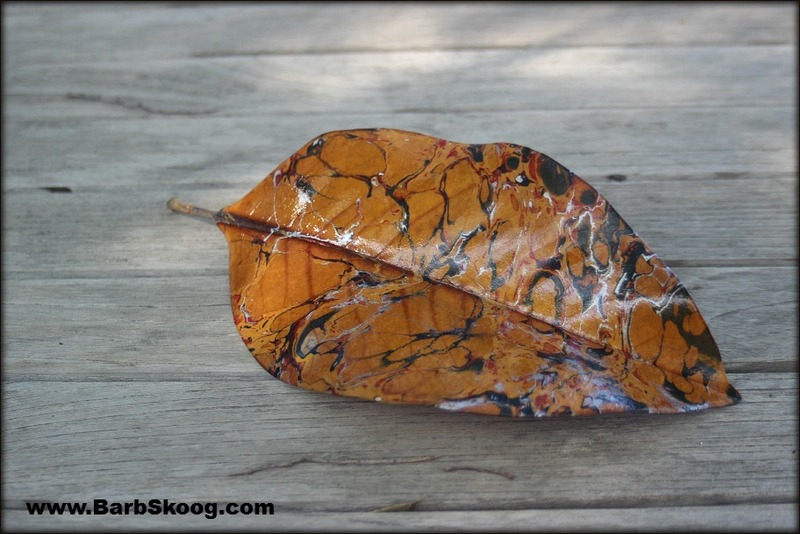 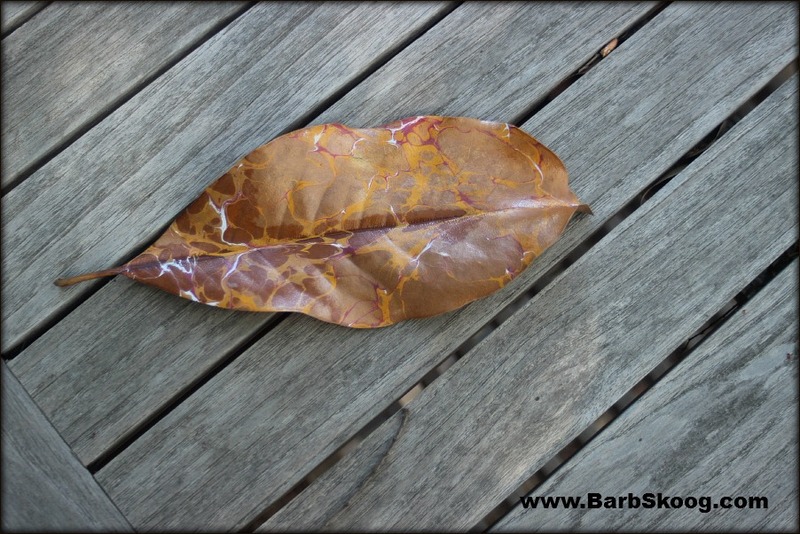 Marbled nature ~ specifically, marbled magnolia leaves. 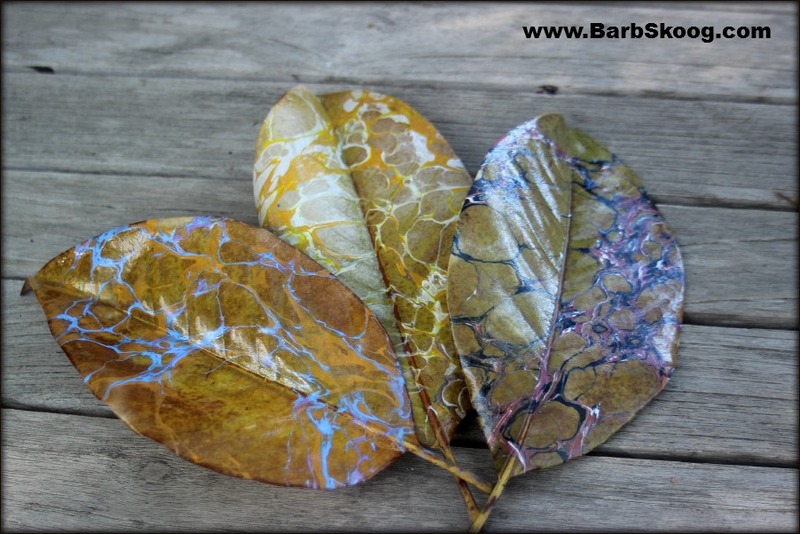 These are much bigger than the last round of leaves I marbled and they are more browns and mustard yellows than the lovely red...but I had just as much fun working on them. 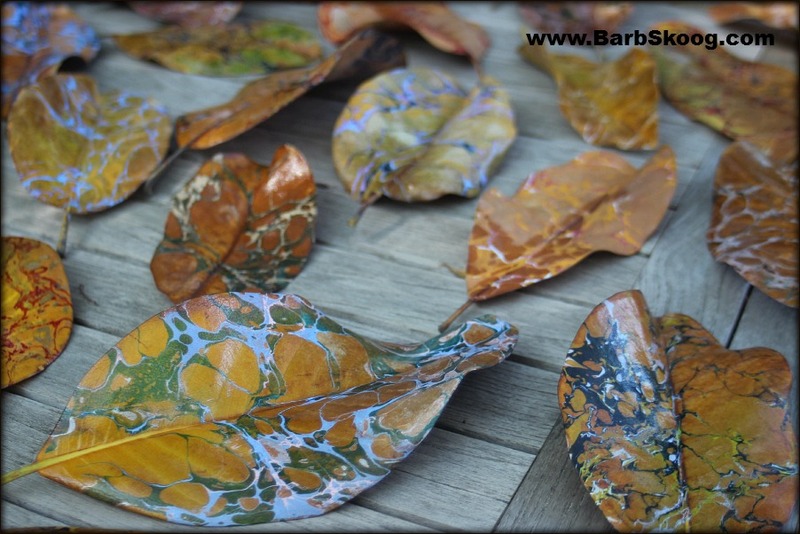 I once again finished them with a light spray of glossy acrylic spray in hopes of preventing them from continuing to dry out and crumble. 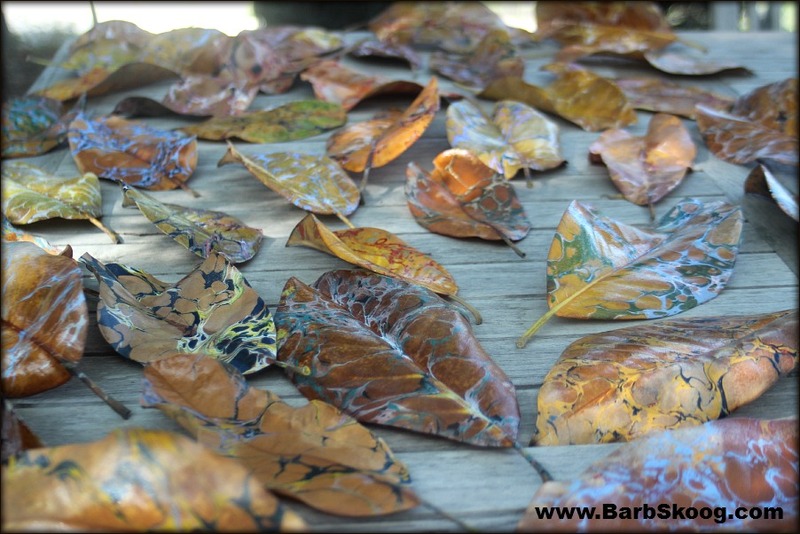 Only time will tell if that works.